Don't waste your weekend waiting on a haircut. 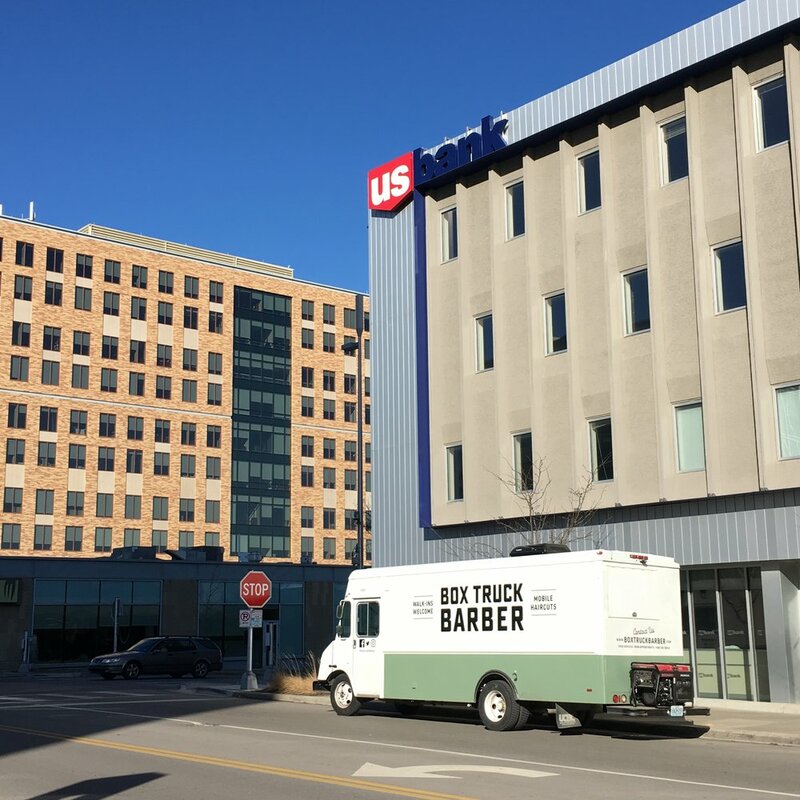 Box Truck Barber is Kansas City's first mobile haircut truck that launched in the spring of 2018. We partner with Kansas City businesses to offer quick, convenient, top-notch haircuts right outside their office. We specialize in haircuts, bang trims, and beard grooming. Our appointments usually take about 20 minutes. We move around daily but tend to keep it fairly consistent. Click the link below or follow us on social media.